The fast ramp of web hosting companies led to the ingenious evolution of products and services. 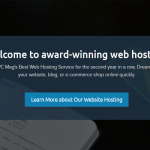 Like any other start ups, web hosting companies take a leap in the dark as they venture the web hosting way. Now, they’ve crept their way to every business client’s heart. As of today, to maintain a good competitive value, these companies have adapted services that are easily in trend. With a lot of companies to choose from a deep roster, these companies join a cut throat competition for excellence. eApps is a premier web hosting company centered on personalized client service. 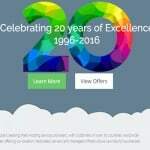 From its inception in 1996, it has been providing hosting service in over 125 countries. How they do it? Now, that remains a mystery to the public eye. Which brings us to our guest for today. Here with us today is Richard Lingsch, the President of eApps. Let’s join him as he brings light to why eApps is fit for your business ventures. Thank you for granting us this interview, Richard. 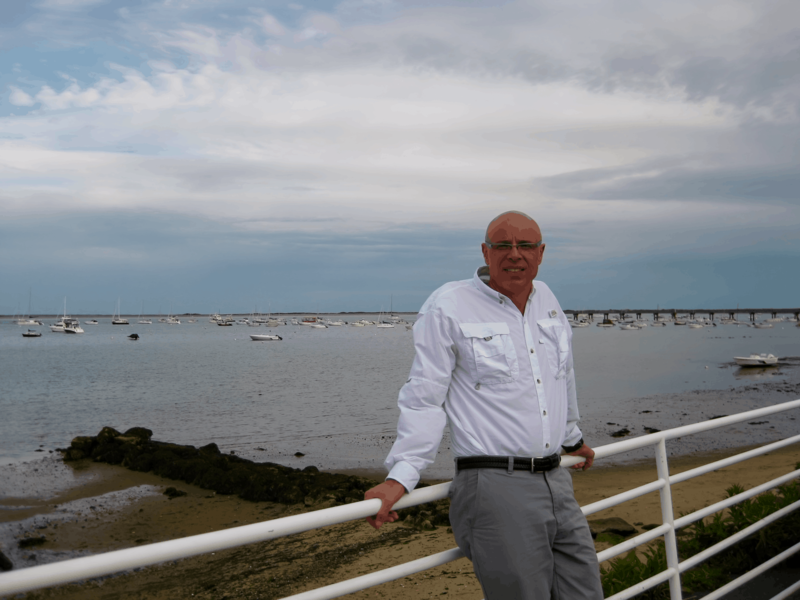 eApps has been around since 1986. Now that’s around the time when IBM announced its first laptop computer. Can you share with us 1) the story of it’s inception 2) the great minds behind it’s success. The company was founded by two of my colleagues and myself. We worked as management consultants for Deloitte, Haskins and Sells, the predecessor firm of Deloitte and Touche, and decided to strike out on our own. We started the company under the name Strategic Systems Consulting, Inc. and provided Information Technology consulting and project management services to medium and large businesses throughout the United States. Our strategy was to provide high quality, professional management consulting services at less than two thirds of the cost of our former employer and other large consulting firms. We were successful right from the start, having landed several big projects. One of our clients was a rapidly growing mobile telephone services provider, which gave us quite a ride. eApps did not launch web hosting until 1996. What adjustments were made that led to the inception of this premier service? At that time we were offering consulting and development services for Lotus Notes, the original “Intranet” technology. The Internet posed a threat to Lotus Notes so IBM, the new owners of Lotus, decided to engineer the product to also provide web services. This provided us an entree into web development. One of our customers needed to deploy a Lotus Notes web app but could not find a suitable hosting provider. They asked us to host it for them, and we did. At that time we were one of only two or three Notes hosting providers in the world. Through our relationship with IBM we also got into Java development, using their Websphere product. This led us into offering Tomcat hosting on Linux. Again, we were one of the first three Tomcat hosting providers worldwide. Later, we were one of the first Virtual Server providers, using VServer, an open source virtualization technology. Since 2013, eApps is consistently named as the Fastest Growing Company in America. What motivates you to be ahead of the curve? How do you breathe consistency into your system? As you know the web hosting industry is brutally competitive. Every year we are challenged to offer more, for less. The two things that ensure our success are 1) our vendor provided technologies, and 2) an unwavering commitment to providing outstanding customer service by our staff. These have been the keys to our success over the past 30 years. You established a name for yourself in the industry for several years. Moving forward, what are your long term goals in terms of company management and client satisfaction? We are steadily offering improvements to our services, with the goals of making it easier for the self managed customer to use our services, and at the same time offer a blanket of cost effective services for those customers that want more from their hosting provider. Those are some exciting news, Richard. Now, let’s kick off the service parade. You offer a number of services on your site and the public’s reaction to it is fever pitch. You’ve caused quite a stir on the web hosting industry. Our question is, what services are making client’s bright eyed and bushy tailed? High uptime, high availability and disaster recovery services are increasingly in high demand. Customers now recognize that even the big boys – Google, AWS, Microsoft, etc – have outages. As this realization sinks in, they turn to us to help them craft a cost effective solution. To meet this demand we offer what we believe to be one of the best automatic scaling solutions, and have had a lot of success with clustering applications. We are also looking forward to rolling out a low cost and highly effective disaster recovery service later this year. Unlike other companies, you offer two virtual environments. Namely, the Virtual Cloud Server and the Auto Scaling Platform as a Service. What are the main differences between the two services? The Virtual Cloud Server is a highly customizable virtual server running Linux or Windows. The service comes with a choice of the three most popular control panels, and is designed to allow customers to easily deploy and administer their PHP or Java based web presence. The virtual servers can be very large, up to 16 CPUs, 32 GB of RAM, and 1,000 GB of disk. Customers have full and complete access to the server. The servers can be upgraded or downgraded at any time without penalty, and always with a predictable bill. The Platform as a Service (PaaS) has an outstanding ability for scaling vertically as well as horizontally. The service also uses a “pay for what you use” billing model, which provides means that the customer only pays for the additional “scaled” resources, when used. This technology, when configured properly, ensures that a site never crashes for lack of resources. The PaaS also provides access to multiple versions of the software used by Java, PHP, Ruby, Python, and node.js developers. In line with the question above, what service would you recommend small scale business owners hoping to create a startup website for consumer use? What technology is used to man these servers? Most small business owners build out their site using WordPress, Joomla, Drupal, Magento or other CMS/eCommerce site builder tools. Both of our platforms support these technologies. If the owner expects a wide variance in site load, ie high peaks and valleys, or expects rapid growth I would recommend the Platform as a Service. This service offers a very high value, but the bill does vary depending on load/usage. If the business owner expects a fairly steady usage, and a steady growth rate I would recommend the Virtual Cloud Server. The Virtual Cloud Server is also the service to use if the owner anticipates needing a large amount of disk space. Now, your Add-On services are a feast in the eye. One that has especially caught our eye is the Content Delivery Network (CDN) Service. It allows your client’s website to be viewed faster than ordinary web hosting service. What feature is deployed to the client’s site allowing such a service to creep in? 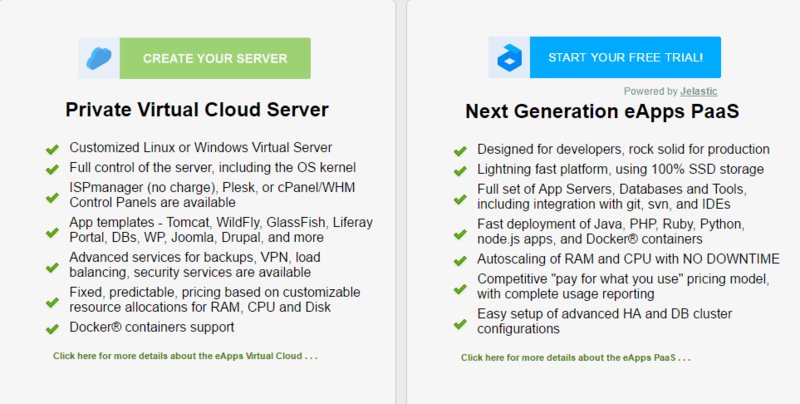 This is an outstanding service offered by OnApp, our Virtual Cloud Server vendor. However, the service can be used for any site, even ones that are not hosted by eApps. At this time there are two things that are required to activate the CDN service. First, we have a list of CDN plugins that are designed for PHP, Java, and CMS applications. This plugin manages the URL translation for cached content. Second, the DNS for the site needs to be updated to provide access to the caching servers on the CDN network. We are looking forward to the next improvement, which is an “always on, in-line” CDN feature that enables CDN for any site without requiring plugins. This advanced approach will make deployment even easier, leading to greater adoption. One of the major services that you offer is the Enterprise Email which we believe is powered by Zimbra Email. How do you maintain the security of this service when launched to the client’s site? 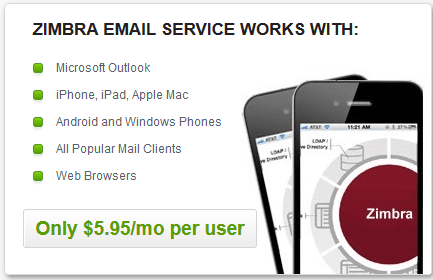 Zimbra is a widely used mail service, with tens of millions of users. The vendor is focused solely on this one product which ensures that important issues are given the highest priority. We have used Zimbra for over five years now and I can not recall even one major security issue. We also offer support for securing the messages using SSL/TLS or using security keys. One other thing about Zimbra, we recently received some exciting news that we will soon be able to offer an open source version of Zimbra. Our existing partner agreement prohibits us from supporting the open source version. Once this restriction is lifted we expect to see a higher rate of adoption. That would give us all a good night’s rest, Richard. We all have experienced a disappointing downtime from several sites before. It is inconvenient for both the client and the consumer. Can you tell us more about the Load Balancing and Failover service and how it greatly affects the uptime service of the site? Our senior technicians have invested a lot of time understanding the issues involved in load balancing and failover services. The solution is not as simple as slapping a load balancer on top of a server. The higher the desired uptime, the greater the challenges. The ultimate configuration will span geographic regions, to ensure that the web site or app stays up even if one entire data center is down. Our guys have developed some approaches for spanning geographic regions to mitigate this risk. That’s wonderful. Now we can enjoy high percentage uptime for our sites. For our readers peace of mind, can you please tell us more about the channels of support available and when they can be of help? Our technical support operation is available 24x7x365 via phone, Skype, chat, and on-line ticket system. Furthermore, our front line technicians are experienced system administrators. When you call on eApps for technical support, you will get a problem solver not a customer service representative reading from a list of FAQ. Also, our service includes free support for a customer’s initial deployment. We call this our “on-ramp” service and we offer it at no cost for the simple reason that we want our customers to be successful from the very beginning of their relationship with us. Thank you for this golden opportunity Richard. It was indeed an enjoyable interview. For our parting question, can you share promos and discount codes for our readers to avail? Now there you have it folks. Hope that we shed some light on your queries about eApps. Readers if you have enjoyed reading please comment and share your suggestions below.